HF monoband beams for the discerning amateur. Excellent quality at an affordable price. 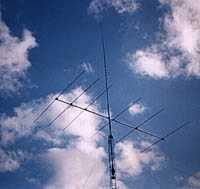 ZX-Yagis are used by dx-peditions worldwide. ZX was founded by Ron Eberson in 1980. At first intended only as a hobby, the company grew rapidly. 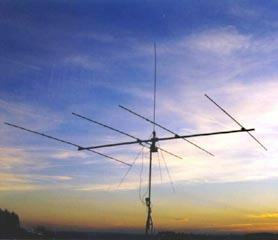 Many well known stations use these antennas worldwide: DA0HQ (ZX 20m) 9K2ZZ, 9K2RA, F2YT, PI4COM (40 m-Beam) etc. 1984 a dutch mateur magazine tested the 3 element beam and reported that this was the antenna with the best results in the past 17 years. In 2000 WiMo acquired ZX-Yagi, the production was moved to Herxheim. By taking over all the tools and software it was assured that all antennas are made with the same high standards, but now available at much reduced shipping cost. German and english instructon manuals are supplied, as well as an easy access to spare parts. All antennas are made of robust aluminum, all other hardware is stainless steel. The element diameter varies from 60mm at 7MHz to 22m at 30MHz antennas. Mounting either for horizontal or vertical polarisation. Conenctor PL jack (Option: N jack ). The coax connectors are sealed, so no water can get into the cable. For the underlined models (links) directional patterns are provided. The stated wind loads are calculated for 125km/h wind speed. Replaces the PL jack with a N jack. Includes new mounting bracket and small parts. Note: The 4m yagis are already equipped with an N jack (female).